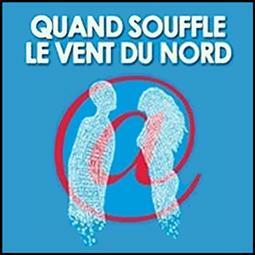 Romantic comedy: “Quand souffle le vent du nord” (“When the North Wind Blows”), dramatisation by Ulrike Zemme on Thursday 6, Friday 7, Saturday 8 December, at 8.30 pm and Sunday 9 December, at 4.30 pm Théâtre des Muses. A typo. This is how Emmi’s e-mails land by chance at Leo’s. An email driving another, a correspondence commits itself. Their curiosity, their humor and their temperament, push them in spite of themselves in exchanges of couriers more and more furious. What’s more exciting than confiding to a stranger… But how far will it lead them?